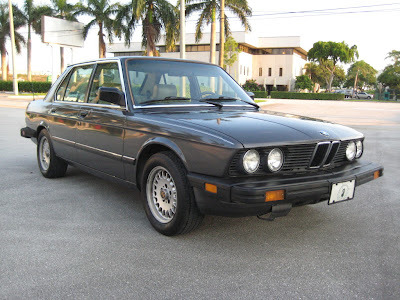 Just A Car Geek: 1986 BMW 535i - A Great Everyday "Classic"
1986 BMW 535i - A Great Everyday "Classic"
I've always liked the E28 5 Series. It's just a nice looking, no nonsense car. I'm pointing this one out because it appears to be a no nonsense version of a no nonsense car. 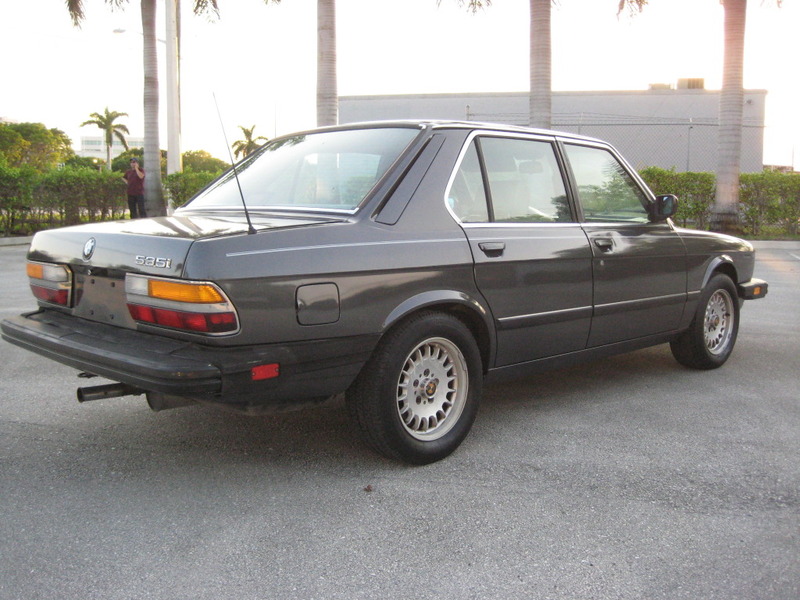 Of the E28s sold in North America, the 535i was not the most exciting. The earlier 533i was a bit quicker, but more trouble prone. The M5, of course, is very exciting, but sells for real money. 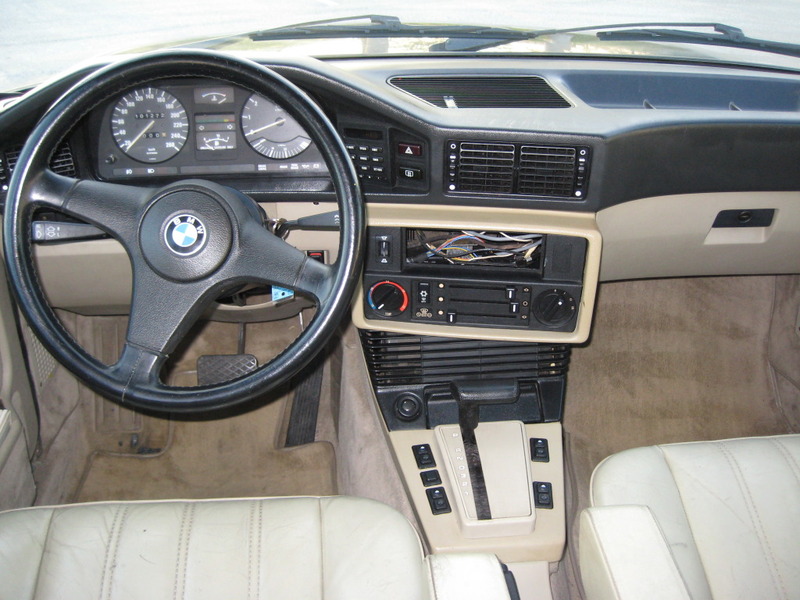 The 535i is an affordable, dependable "classic" you could drive everyday. This 535i has 101,000 miles on it. With routine maintenance you could easily double that. It looks like it's been well maintained. It's stock, right down to the original BMW wheels. Yes, it's an automatic, but, if you live in an urban area and plan on using this as your daily driver, an automatic is not the worst thing in the world. Located in Boca Raton, FL, click here to see the eBay listing. Knowing it is completely stock is nice, so I don't mind the stock bottlecap wheels. That said, anyone interested should be aware that for many (all?) 535i's made in the US, the stock wheel size is 390mm, and tires are hard to find and stupidly priced. 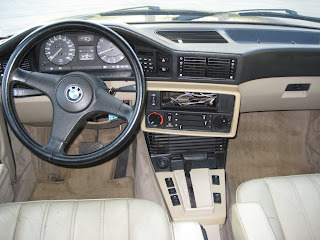 If your motivation to buy is the "affordable" part of the classic, a good alternative to buying new tires when the time comes, is to buy a nice set of used BMW wheels that come in a more friendly size. OEM basketweaves with similar offsets and the proper 5x100 bolt pattern can be had for a few hundred dollars. 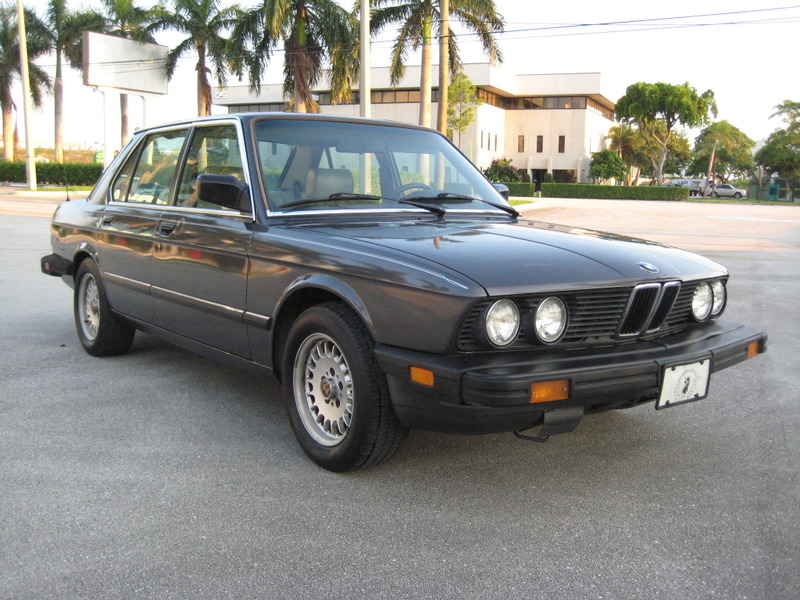 A Black/Tan 1985 535i was my first car, and I loved it to death. Almost literally. Good point. I still have a full set of TRX rims from one of my old Alfas. Even 10 years ago it was tough to get tires. I have the diesel version. At 220k miles it still runs and drives great. These are very drivable classics, pretty easy to work on as well. I have owned 3 e28 series cars. Do note that on all 3, I had to do complete suspension rebuild after purchase. Once sorted out, no worries at all. I have a 1986 535i and wondering how I can go to a single outlet rear muffler like what's on this car, rather then the two spouts I currently have on it. Any help is appreciated.